In the course of conducting our business we regularly link up with organisations that offer services that may be of interest to you. * Nannyplus accepts no responsibility for the contents of the sites linked to on this page and makes no endorsement of their goods or services. Maternity and Nanny Training - leading training suppliers of Nanny and Maternity related courses from OCN Maternity Practitioner Award to Emergency Paediatric First Aid. The Association of Nanny Agencies aims to direct its members towards compliance with all relevant laws and regulations. DBS - Disclosure & Barring Service - the home office agency set up to assist in making safer recruitment decisions. PAYE for Nannies - Nanny payroll specialists providing low cost PAYE service for £135 pa calculating tax and National Insurance Statutory Maternity Pay and Sick Pay. 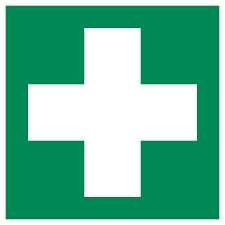 First aid courses - St Johns Ambulance. Nanny Tax - The UK's leading Payroll Support Service for Employers of Nannies and Domestic staff. National Childbirth Trust - The National Childbirth Trust (NCT) offers support in pregnancy, childbirth and early parenthood. Morton Michel - childcare insurance. Photographs by Helen Rae Photography. LTS Turtle Tutoring specialising in First Aid and Health & Safety training. Tilly Ann Kids - bespoke clothing for babies and children.